Valpak of Tulsa can help you reach the neighborhoods most likely to generate leads for your company. Our cost-effective approach to direct mail marketing enables you to target your audience and mail at your desired frequency, whether monthly or seasonally. Choose the print format for your ad, from coupons to flyers to cardstock, and we’ll do the rest! We also offer mobile-friendly digital products that reach consumers anywhere, anytime. We’re Google Ads certified, so we can confidently build you a responsive website optimized for search engines with SEO and recognized by local directories. If you want pay-per-click and social media marketing, we can develop a campaign that finds consumers at their favorite websites and directs them to your site. Join a household name in direct marketing and get your products or services into more households. Work with a local team who lives in the area, works in the area and knows the area. 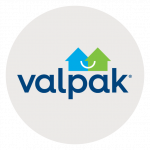 Call Valpak of Tulsa and reach as many as 160,000 qualified households in Tulsa, Broken Arrow, Glenpool, Claremore, Jenks, Owasso, Sapulpa, Sand Springs and other communities. For specific dates and coverage, contact your Valpak of Tulsa representative.